The Black timer box is the similar unitas white timer box. The different only in box size. 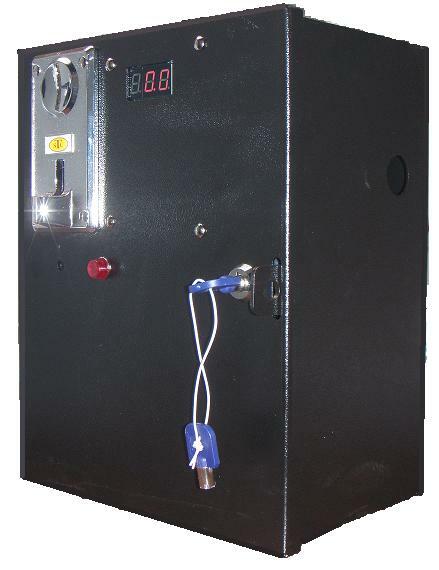 Metal coin operated black timer box. * Adjustable (dip swtich) start up timer from 1 to 99minute. * When coin in reach the amount needed. It start countdown. * If coin input before timer reach zero. The unuse time will add up. * When it reach the last minute, buzzle will sound and pilot light blink until timer reach zero.